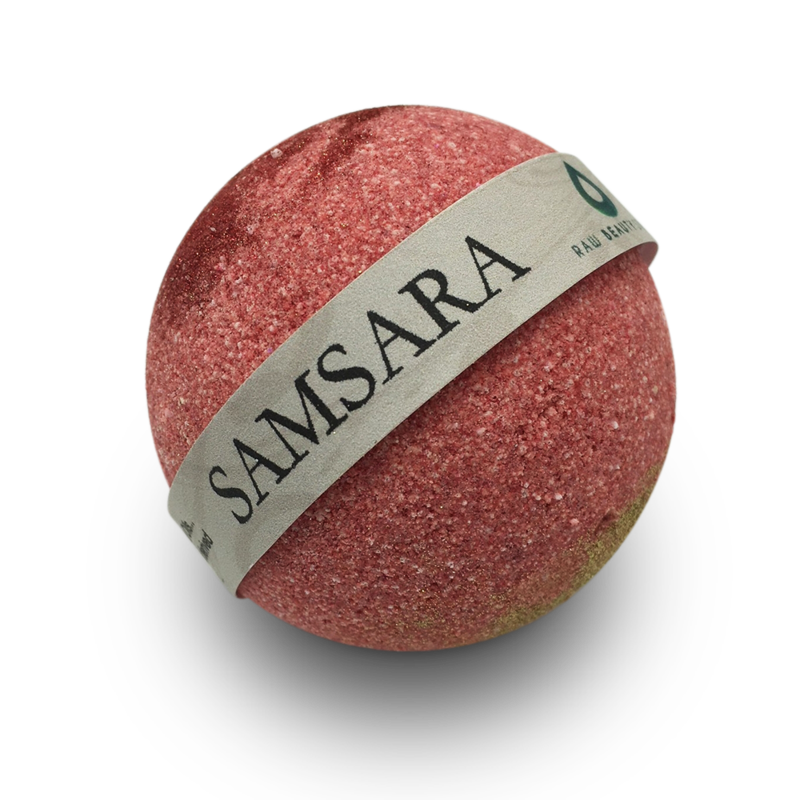 Our luxury handmade Samsara bath bomb will leave your skin feeling and smelling even better. It also includes a shimmer to make your skin come alive. Made from some of the best pure natural ingredients that include Double coconut oils (2 types of coconut oil) Cocoa Butter Naturally derived bubbles. With the inclusion of coconut oil may be linked to some potential benefits for skin including reducing inflammation keeping skin moisturised and feeling great. Many women also believe cocoa buttercreams and lotions can be used during and after pregnancy to prevent and minimise the appearance of stretch marks.